We are out with a new update for our learning management system for Joomla. 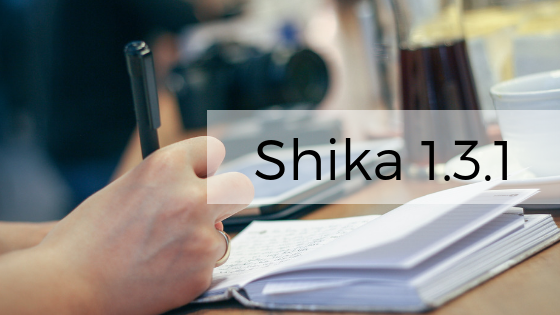 We are happy to release Shika 1.3.1 which primarily adds support for Joomla 3.9.x privacy tools suite. This release introduces two new plugins: actionlog plugin and privacy plugin for Shika. Read on for details related to the plugins, new features and for the detailed changelog. Actionlog plugin for Shika enables site administrators to log actions for various activities integral to Shika. Activities which are logged include course creation, enrollment of user(s) to a course, start of each lesson attempt, completion of each lesson attempt, course completion, user assignment and user recommendation. This plugin adds support to the action logging system introduced by Joomla in Joomla 3.9. Site administrator can further review the user actions and adjust the plugin settings according to his preferences. This plugin is by default disabled on fresh installations, site admin can enable it if needed. Also the logging actions for Shika will not be tracked if the plugin is disabled. The privacy plugin is responsible for processing privacy related requests to Shika. Privacy related requests are related to export and deletion of user data. In case of Shika, personal data of customers is required for sales, invoice and taxation purposes. Site administrators can now create multiple correct answers for MCQ type questions in quiz. User is alloted certain marks when a question is partially answered correctly. Many a times, quizzes have two similar answers, out of which one is the correct answer although the second answer is also not completely wrong. Thus using this feature, marks can be awarded to users for getting the answer partially correct. Users can be awarded partial marks instead of the complete marks for getting the answer partially correct. #136532 Allow admin to create multiple correct answers for MCQ type Question as a partially correct answer. #137182 Email does not go to users after an admin approves the enrollment. #136955 Backend > Add existing quiz >Language constant missing for the search box. #136417 Backend > Article as lesson > On edit the view gets disturbed. #136116 After the submission of the exercise, feedback email type sent to users. #133162 Ability to update user according to given user_match_key in(id/email/username) in import CSV.